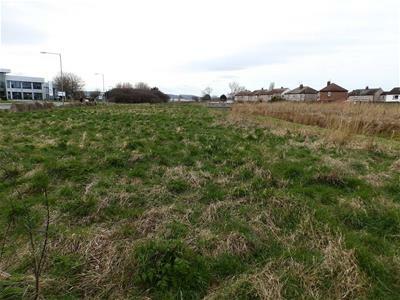 Opportunity to acquire an open field which is laid to grass providing an area of approximately 1 acre. The Land has been allocated for "Recreational Use" and has road frontage to Cefndy Road with two dropped kerb access points. An opportunity to acquire a very well presented mid terraced home which would ideally suit a first time buyer. Briefly affording the following well arranged accommodation: Entrance Hall, Lounge, Kitchen/Diner with built in appliances. To the First Floor are 2 Bedrooms and a Box Room, Bathroom with 2 piece suite and a Separate WC. Garden area to front and enclosed area to the rear. The property benefits from white uPVC double glazing and Gas fired central heating system. An opportunity to acquire a neat and very well presented semi detached Home located to the south end area of the town in a cul de sac but within walking distance of local Schools and parade of shops. Briefly affording the following accommodation: Entrance Hall, Lounge/Diner and contemporary Fitted Kitchen. To the First Floor are 2 Bedrooms and Bathroom with modern 3 piece suite. Gas Central Heating & uPVC Double Glazing. Gardens to front and rear. Modernised 2 Bedroom 2nd Floor apartment. Conveniently located for the Promenade. The Accommodation briefly provides: Communal Hallway, Entrance Hallway,Lounge with Kitchen area including integral appliances, Feature Bathroom with 3 piece and En Suite Shower room to Bedroom 1. 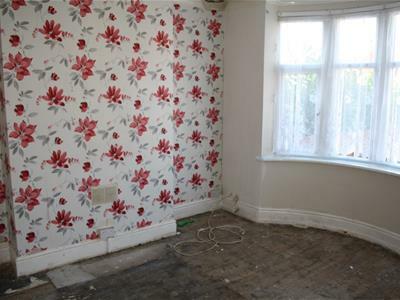 The property is uPVC double glazed and has an electric central heating system. Dedicated Parking space to rear. Must be viewed to be fully appreciated. End terraced premises situated in a recognised trading district of the town centre in the resort town of Rhyl comprising of a Ground Floor Shop unit currently being used as a Salon but would suit other uses subject to all necessary consents. The Shop comprises of: Shop, Rear Lobby with Separate WC and a Rear Room. To the Upper Floor is a Flat comprising of Kitchen, Bathroom, 2 Reception Rooms and 3 Bedrooms. To the exterior is a rear enclosed yard. 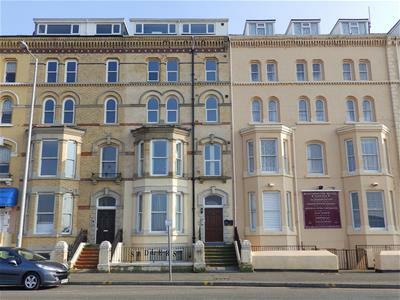 NO ONWARD CHAIN - An opportunity to acquire a good sized 3 Bedroom Semi Detached House conveniently located for local Shops on Wellington Road, the Sea Front and Promenade with Marina Quay Retail Park in the nearby vicinity. Briefly affording: Entrance Hall, Lounge, Dining Room, Kitchen/Diner and to the First Floor are 3 Bedrooms and Bathhroom with 4 piece suite. Gas Central Heating & uPVC Double Glazing. 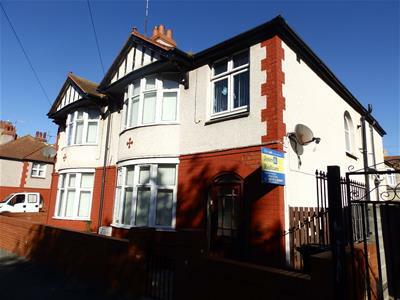 Located in a good residential location and conveniently sited for local Schools, Botanical Gardens and Rhyl Sports Centre an opportunity to acquire a 3 Bedooom Semi Detached Family Home. Briefly affording the following accommodation: Entrance Hall, Lounge, Kitchen/Diner and Utility Room. To the First Floor are 3 Bedrooms and a Family Bathroom. Garden areas to the front and rear and driveway providing off road parking. The property also benefits from white uPVC double glazing and Gas Central Heating. An opportunity to acquire a three bedroom semi detached family house sited in a convenient location which is suited to the family occupier. Schools at all levels are catered for within the area and shops are within easy access along Vale Road . The property benefits from Porch, Hall, Lounge, Living Room and Fitted Kitchen. To the first floor are 3 Bedrooms and Family Bathroom. Gas Central Heating and Double Glazing. Gardens to front and good sized enclosed rear garden. 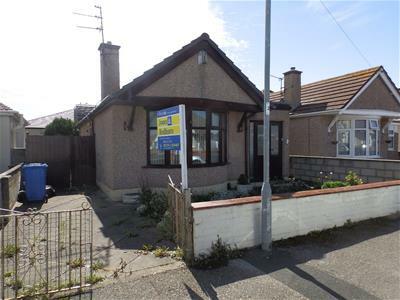 Located to the favoured east end area of the town, a detached Bungalow conveniently sited for local Shops, The Promenade and the Sea Front. 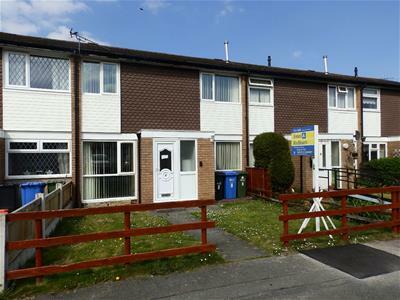 Briefly affording: Lounge/Diner, Inner Hall, Fitted Kitchen, 2 Bedrooms and Shower Room. Gas Central Heating & uPVC Double Glazing.